Have a broken iPad 6 that needs repair? iPhone Repair Santa Barbara is here to help you with any iPad 6 issue that you may be experiencing. Our technicians specialize in iPad 6 repairs and have seen everything from shattered screens, broken lcds and battery issues associated with the iPad 6. Don’t know what problem you are experiencing? No worries. 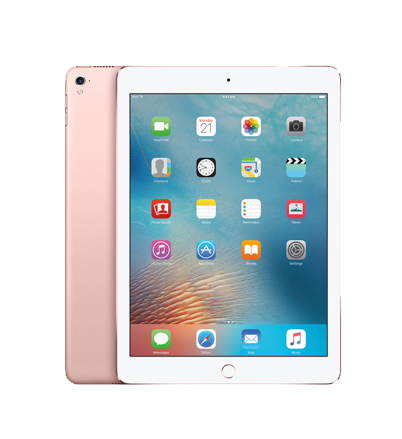 Bring in your device and one of our certified technicians will help diagnose any iPad 6 problem free of charge. No matter what issue you are experiencing with your iPad 6, bring it in today and we will take care of you. We offer high quality replacement parts, fast turnarounds and the most competitive prices in town. Okay so you dropped your iPad 6 and now the screen is broken, shattered or maybe it's not even turning on. Don’t let some broken glass ruin your day. Our technicians at iPhone Repair Santa Barbara have seen the worst of iPad 6 glass breaks and are confident in their ability to fix your device. We will make sure that your device receives the proper treatment and repair to make it look like new again. Our team of experts are some of the best in the industry and will ensure that your iPad 6 device is handed back to you like when you first pulled it out of the box. Why We Are Santa Barbara’s First Choice..
We are confident in our replacement parts and the manufacturers that we do business with. If for any reason your iPad 6 is experiencing issues after a repair, do not worry, bring it back in and we will ensure that the problem is taken care of. Before your iPad 6 is returned to you we will undergo a careful test to make sure that all components are working properly.